I really had intended to only participate in two challenges this year but at Marg’s blog today I noticed another challenge I simply cannot resist. 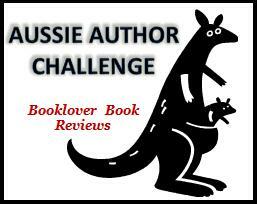 She pointed out the Aussie Author Challenge being hosted by Booklover Book Reviews. There are two levels of challenge but I’m aiming for fair dinkum which will require me to read books by 8 Aussie authors (at least 5 of which are by different authors). I read 20 books by Aussies last year so this shouldn’t be too difficult for me but anything that motivates me to read more books by Aussies is a good thing as far as I’m concerned. Given that I scored Peter Temple’s new book TRUTH for Christmas I think I know what my first book for this challenge will be. You’ll notice that I’ve added a new permanent page to the blog to help me (and you if you’re that kind of person) keep track of my progress for all my challenges. This entry was posted in Aussie Authors Challenge 2010, memes and challenges. Bookmark the permalink. Glad to have bought this to your attention! Hope you enjoy the challenge. I look forward to your comments on what you read, Bernadette! Sounds a good one for me too Bernadette. I read 20 books by Australian authors in 2009 too. Thanks for joining me in this challenge Bernadette! I look forward to sharing reviews of some great Aussie literature with you. Peter Temple’s book sounds great – lucky you!